The Norquest College Academic Research and Development Division (ARD) is committed to offering quality services to their learners, faculty and staff. They wanted to be able to highlight the work they have completed in their annual report. 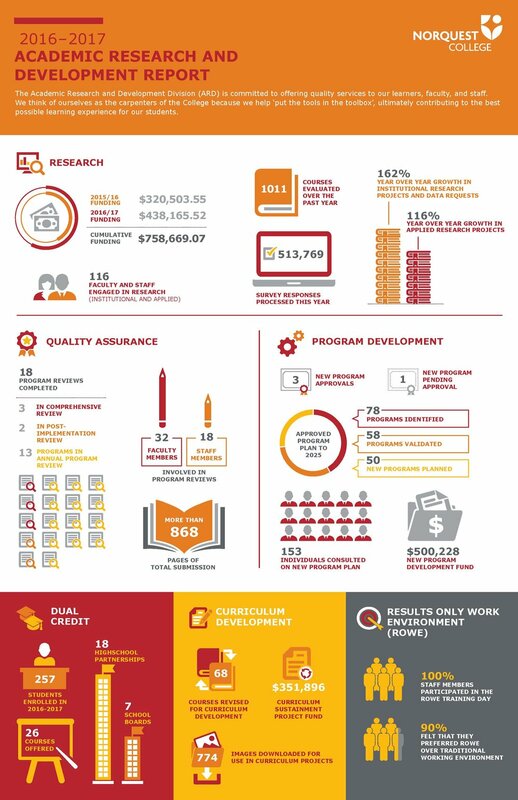 We reviewed and streamlined the content supplied by the ARD and created an infograph that showcased the information while still adhering to the Norquest College Brand Guidelines.